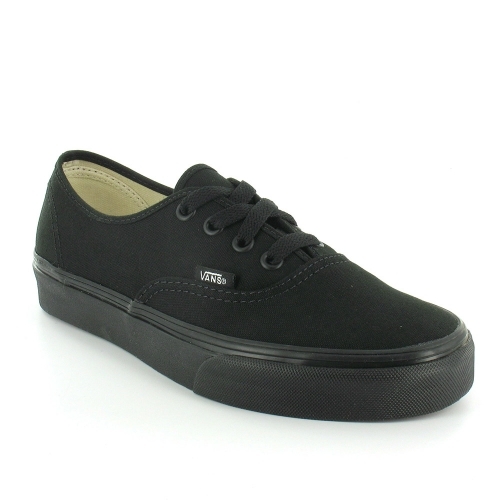 With a black canvas upper, the Vans Authentic has black detail stitching to the sides and around the topline. This stitching is also found along the eyelet line which runs up the front of the shoe with colour matched black eyelets and fastened with flat, black laces. Inside, the Vand Authentic unisex trainer is lined in off white with a padded insole, while the flexible waffle sole unit of the Authentic unisex shoes provides a comfortable walking experience. With a retro appeal that takes you back to the school yard, the Vans Authentic is a great trainer shoe for your summer time activities.